We may be picking a bit here on Android, but as many Windows Phone users know we are not familiar with getting games first or second. That’s why when we see Brotherhood of Violence and now Puzzle Craft go to Windows Phone 8 (and Windows 8) ahead of Android, we get a little excited. 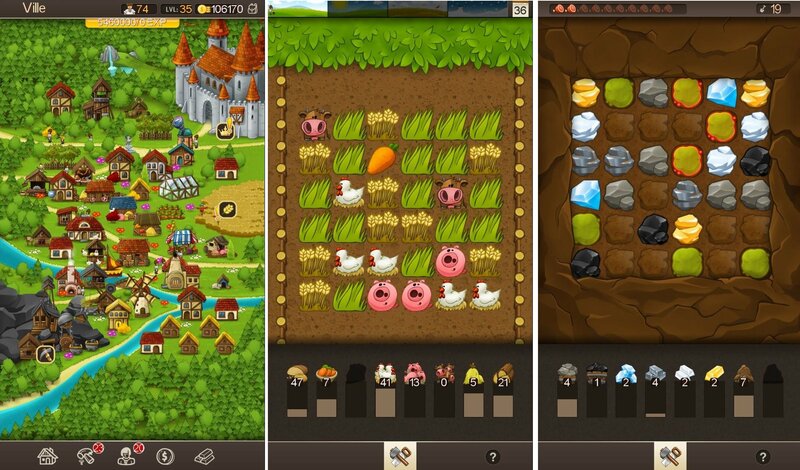 Puzzle Craft is made by popular game makers Chillingo (though ported by SYZYGY Deutschland GmbH for WP8/Windows RT) and has been described as “…if The Simpsons: Tapped Out and Bejeweled had a baby”. If you’ve ever engaged in Farmville-like online games and happen to like the easier aspects of Bejeweled, this game is for you. It’s also completely free with no ads. Yowza. Loading up the game on our ATIV S with that nice long 720 aspect ratio, we were greeted with the game perfectly using up all of the display. Featuring HD graphics, excellent sound and really well-paced tutorials, the game feels like it should be an Xbox LIVE title. It’s very polished. We’ve only been playing it for 20 minutes are thoroughly engrossed in it. 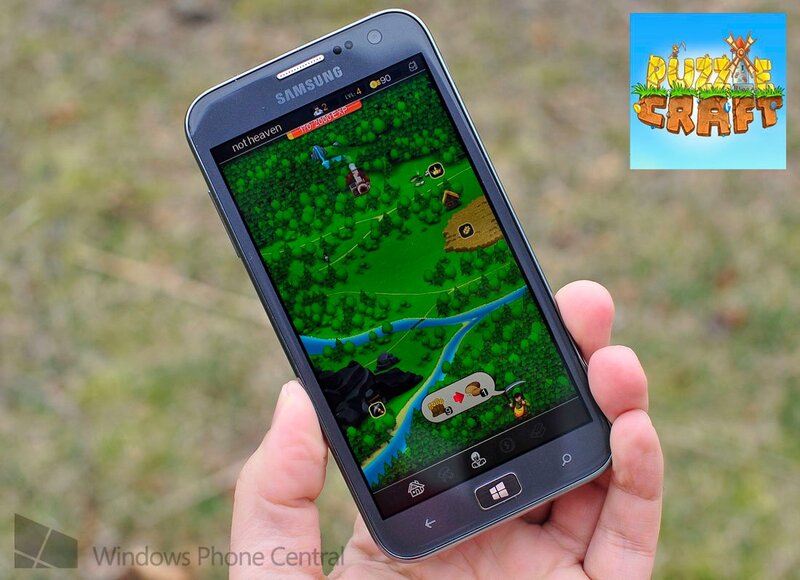 If you enjoy paced, casual games whereby you build up towns and infrastructure you really can’t go wrong with Puzzle Craft either for your Windows Phone 8 device or Surface (but unlike the amazing and addictive Galactic Reign, the two won’t sync with each other…so play pick wisely if you want to avoid duplication). Dare we say, nearly five months after Windows 8 and Windows Phone 8 launched, things for Microsoft may finally be shifting? Either these games are exceptions—studios that Microsoft asked to create titles—or developers are finally taking advantage of the RT framework and overlapping developer tools, including native gaming engine support for easier ports from iOS. All we know is that in the last few days, we’ve had numerous games or features land on Windows Phone before Android, and for once, we feel good. (For fun, tip your Surface to portrait mode with the game and see what happens). 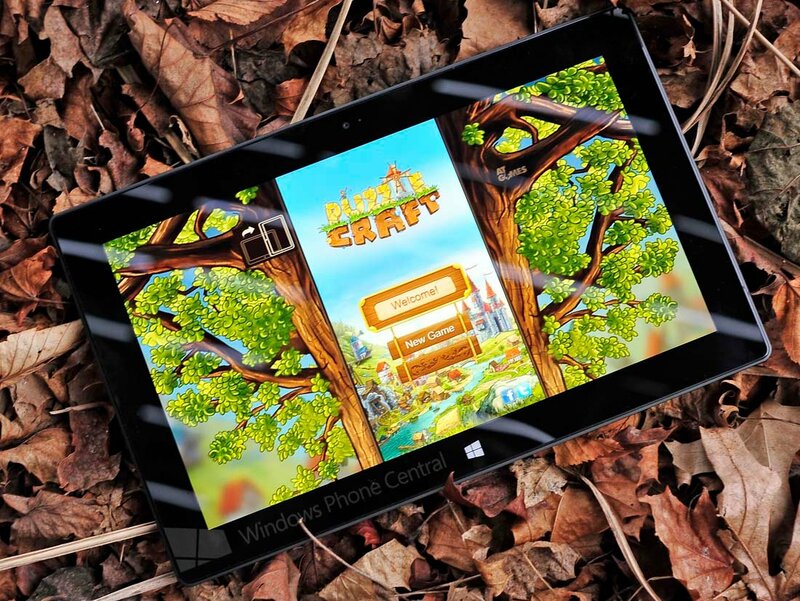 Pick up Puzzle Craft here (Windows Phone 8 with 1GB of RAM only) and check out its bigger brother for Windows RT here in the Microsoft Store. Highly recommended. Thanks, Ian, for the tip!